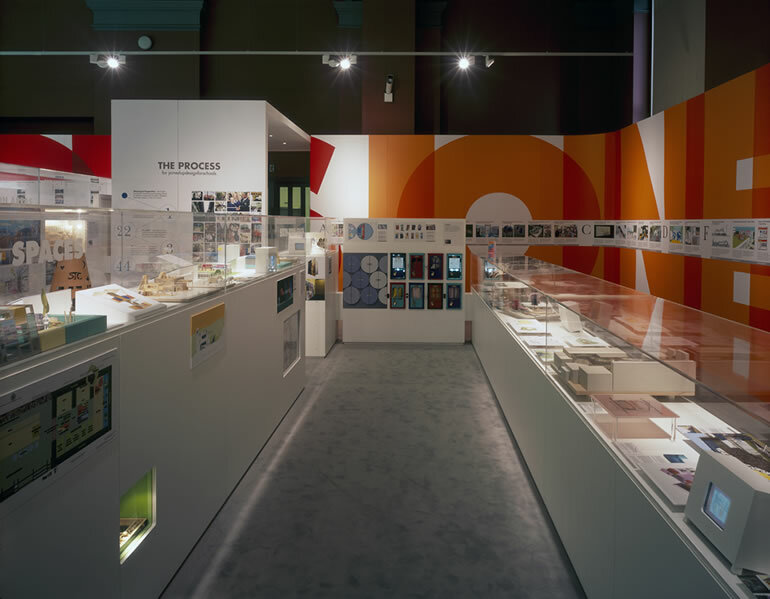 Having previously worked for the Sorrell Foundation refurbishing their offices at Somerset House, and developed designs with Heart of England School for a new 6th Form centre under their design programme, the practice was selected to develop the design for the exhibition of the Sorrell Foundation’s ‘JoinedUpDesignForSchools’ Programme at the Victoria & Albert Museum in South Kensington. 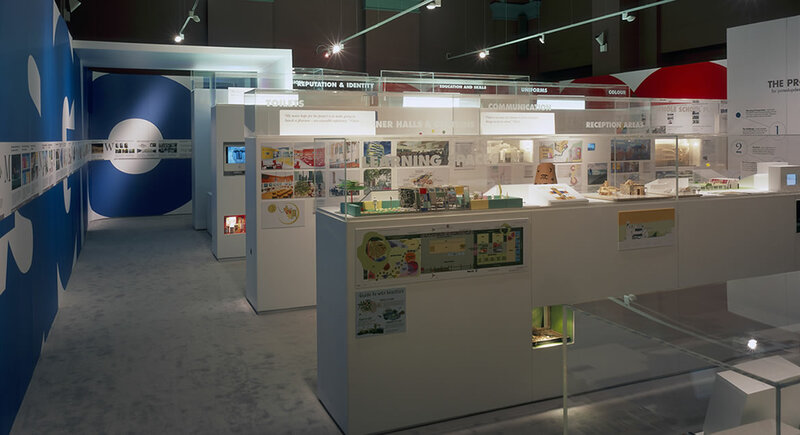 ‘JoinedUpDesignsForSchools’ set out to engage pupils in the design process, and the exhibition design follows this intention deliberately focussing on empowering a younger audience. 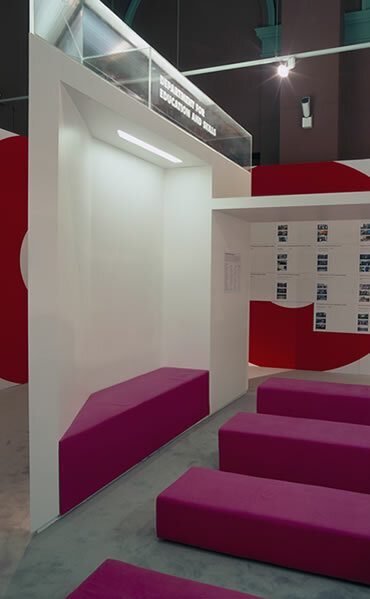 The wide range of design proposals are set out in a regular layout, but with varied presentation styles, varied viewing heights and in different media. Following a successful period in the V&A the exhibition then toured the country.